Hans Heltzel was a child of the sixties. Those wild and turbulent years that inspired and shaped a generation and many generations to come. It is sometimes said that the sixties started in 1966 and lasted until 1974. This may well be the case. Hans was soaked in the counterculture of the sixties & early seventies: music, books, movies, the leftist political movements, the ecologist movement, the hippies and yippies ...and last but certainly not least: the culture of graphic novels and comic books. 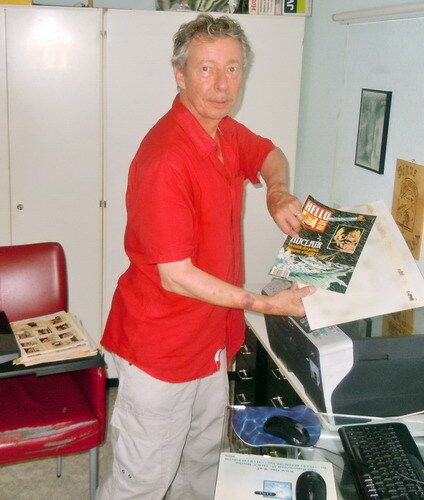 He grew up reading the weekly magazines Kuifje (Tintin) and Robbedoes (Spirou). In Kuifje/Tintin he discovered the work of Claude Auclair. 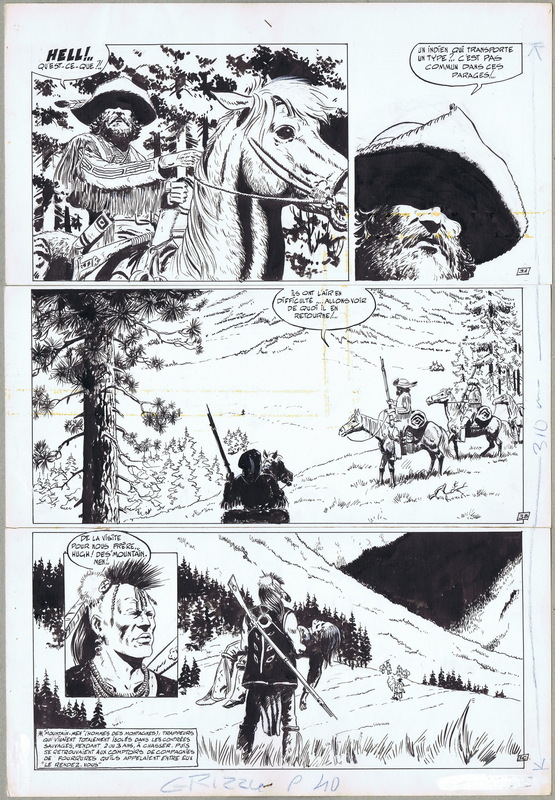 When he first read Simon du Fleuve, little did he know that he would come to dedicate a lifetime of work to the graphic novels of this French Celt. And Hans was a fanatic. He was always striving for perfection, for completeness. Everything had to be researched, double checked, catalogued and filed in folders. When it came to Auclair's work, Hans was truly dedicated. He searched the Internet for information, wrote mails to publishers, editors and biographers. The website that you are visiting is the result of a lifetime of dedication and hard work. On this site you will find the most complete and largest database about the work of Claude Auclair. And this is all the work of one man: Hans Heltzel. In 2015 Le Lombard released a complete edition of the first cycle of Simon du Fleuve (Simon van de Rivier/Simon of the River). Sadly Hans would not live to see this release. He died suddenly on September 25th 2015 in his hometown Hoensbroek, the Netherlands at the age of 57. The Claude Auclair Society thanks Hans for all his work, his enthusiasm, his generosity and his passion. Wherever he is now... we are sure he is raising a glass of wine with the man he so admired: Claude Auclair. A big thank you to Henkus Schumacher for granting us webspace on his domain. Because of his kind gesture the Auclair site will be continued for now. 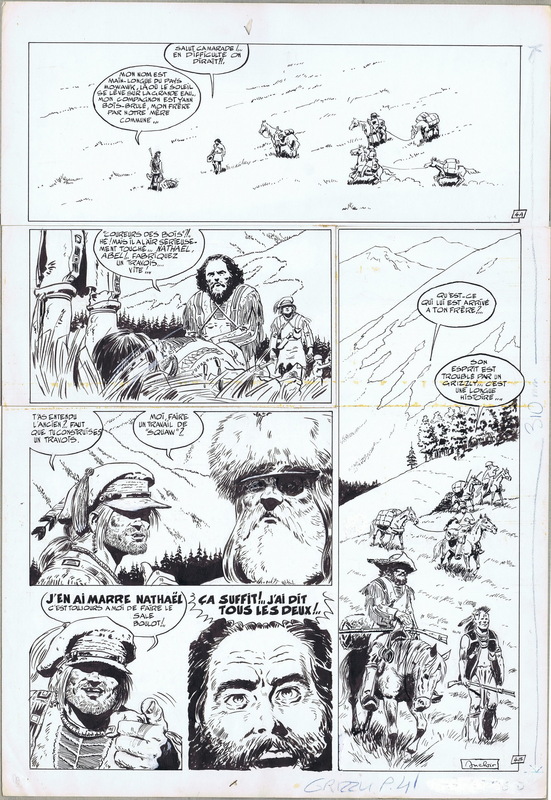 Two pages of original artwork for La Saga du Grizzly, a Western story by Auclair that was published in Tintin/Kuifje magazine in the early seventies. These beautiful pages decorated the kitchen and working room of Hans.